Paradigm Care & Enrichment Center is now collaborating on a county-wide project called Help Me Grow, a Great Start Collaborative, to help ensure that children are on track with their learning development. With this project, we will be providing extra services and activities to help guide your child along the way. Participation in Help Me Grow is of the utmost importance. In fact, it is a Wayne County RESA requirement for all children enrolled in GSRP programs. Paradigm Child Care is kindly asking for all of our parents to participate in this to make certain that their children are on track for growth. Ages and Stages Questionnaire (ASQ) is a questionnaire that focuses on making sure that your child is on target. This 15-minute questionnaire analyzes and identifies areas where additional support can be applied in order to succeed. Understanding your child’s growth and learning abilities in the early stages is very important. In the midst of completing this form, you’ll be asked several questions, including personal information (address, email, etc.). This is to get a better idea of who you are and how your child learns. Please note that you and your child’s personal information will not be made available to the general public. Both, Great Start Collaborative (Wayne) and Help Me Grow, take special care to ensure the safety of your personal information. Veritably, the information on the ASQ questionnaire will only be used for the Help Me Grow initiative. We’ve made it simple by creating a page for our parents/guardians to go to and start the process. You should have received a flyer in the mail with more information and a link. If not, please contact us to request a packet. Your child’s age will determine the questions. For example, questions about a 6-month-old will not necessarily be the same for an 8-10-month-old. If you are ready to take the ASQ questionnaire, please make sure you sign the papers we’ve included where you can opt-in or out of the process. 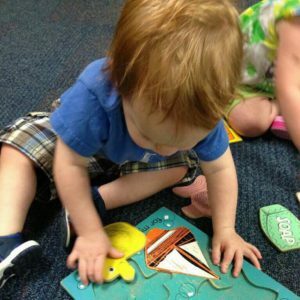 This questionnaire is for both of our child care locations in Canton and Waterford.